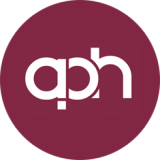 Screen printing suppliers at APH Screens and Embroidery based in Suffolk | Looking for local screen printing suppliers? Rely on the team at APH Screens and Embroidery based in Suffolk. Call us on 01502 715 457 for more information. Are you looking for the nationwide screen printing suppliers? Call the team at APH Screens and Embroidery. Welcome to APH Screens and Embroidery. We are your local, reliable team of specialists offering excellent screen printing supplies. Give us a call today to learn more about our services and prices. We offer a variety of screen printing supplies to schools, colleges, independent artists, businesses and print makers. If you are starting out in screen printing at home, contact us.